Marseille has quite the lore, some of it true, some of it exaggerated, some of it complete fiction. 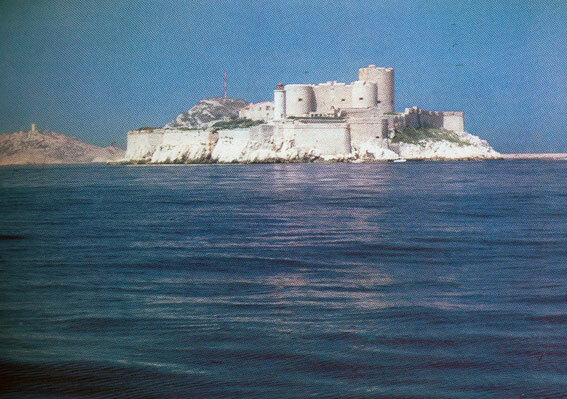 Take Château d’If, the prison island off the city’s coast that served as the Alcatraz of France for several centuries. 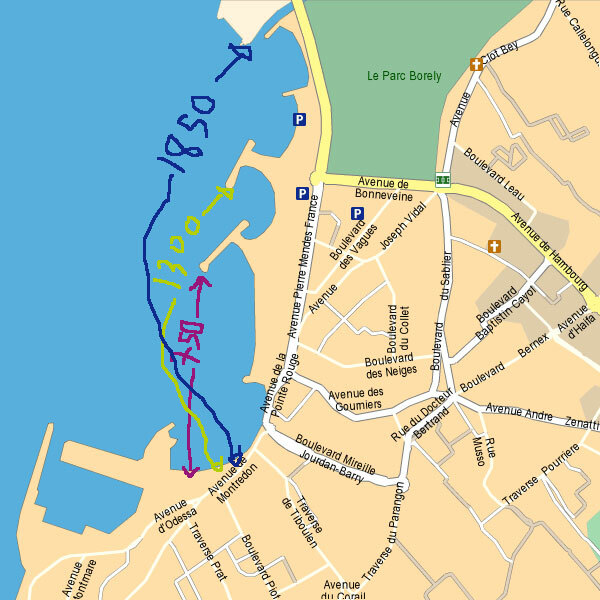 Truth: François I had a military fortress built on the island in the 1520s to ‘protect’ Marseille, but it was actually a way to keep the notoriously rebellious city under the royal thumb. Exaggeration: When Château d’If began being used as prison in the 17th century, the “Man With The Iron Mask” was detained there, but he wasn’t really the twin brother of Louis XIV. Fiction: It was here that Edmond Dantès was imprisoned in Alexandre Dumas’ novel The Count of Monte Cristo, and it was from Château d’If that he swam to freedom. Of course, the actual veracity of an event doesn’t keep it from being celebrated. 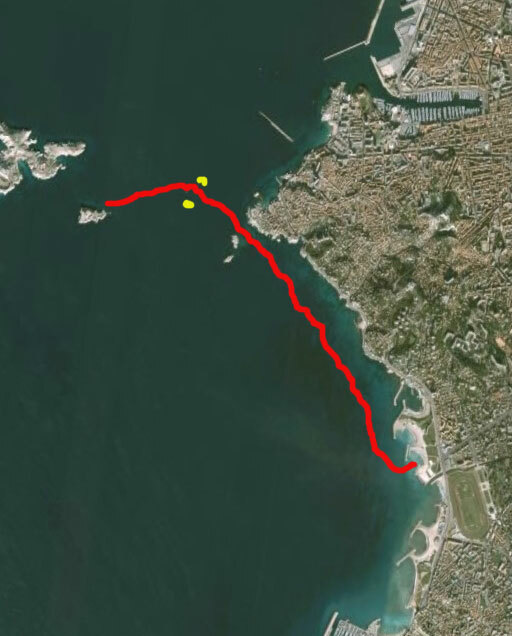 In homage to Edmond Dantès, Marseille organises the Défi Monte Cristo, a five-kilometer (3.1 mile) swim from the former prison island to the Marseille shore. 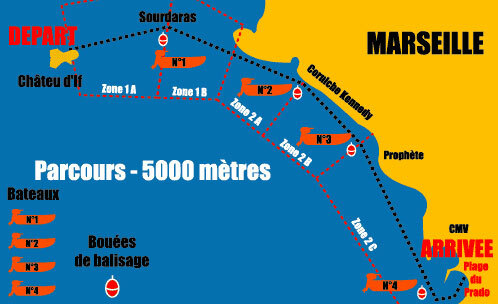 This is my rough schema of the swim route with the two big yellow blotches being the buoys that mark the channel for sea traffic. And, then there is this, the more staid official schema. Since moving to Marseille, I’d longed to compete in the Défi, and last year I realized this ambition. I had three goals for the 2007 edition: 1) Don’t drown 2) Finish the race 3) Don’t finish last. To my utter delight, I met all my goals. In the adults without flippers category, I finished 202nd out of 226 competitors with a time of 1 hour 48 minutes and 48 seconds. It should be noted that I was way off pace: the winner finished in 50 minutes 54 seconds to claim the 3,000 euro first prize. This year, for the 2008 edition, I had twin objectives: better my time and move up in the standings. I began training in January with this fellow, the musician Dominique Viger. 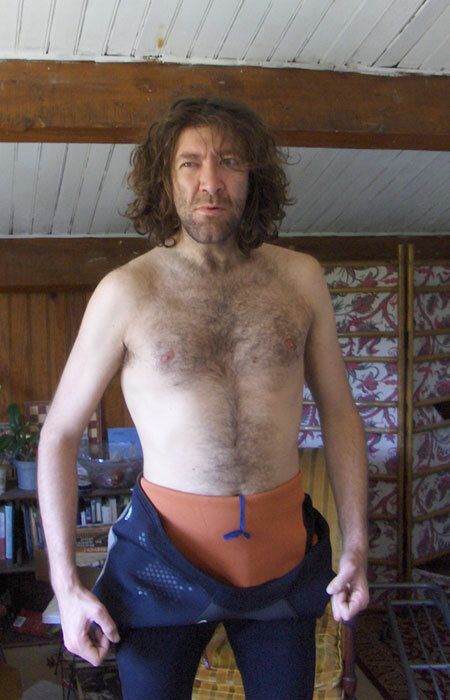 He is a mighty human specimen, tall and robust, and eager to explore his physical frontiers. On many a brisk winter morning, he arrived at my house on his motorcycle, donned his wetsuit, and we walked down to my local beach to train. 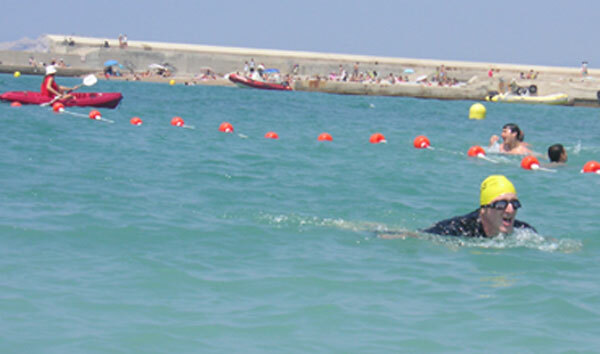 The first weeks we swam the plum-coloured 750-metre course, which made for 1.5 km overall. After that, we swam the mustard-coloured 1,300-metre course, a 2.6 km round-trip. And, by April, we were supposed to be swimming the blue 1,850-metre course for a 3.7 km round trip. Note the word ‘supposed’. 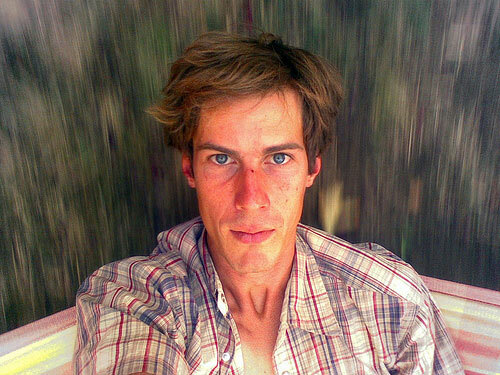 In reality, Dominique enjoys not just physical adventures but psychoactive ones as well. 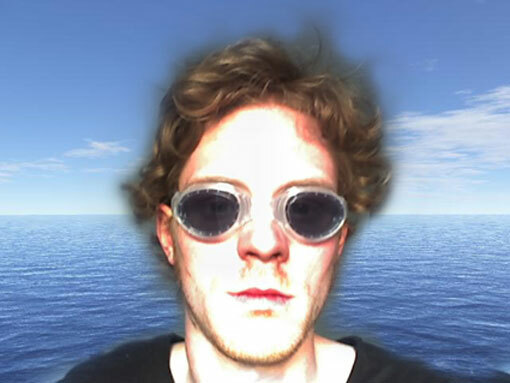 An enthusiastic member of Erowid, he ingests many alphabets worth of chemicals. He often goes three or four days without sleeping, so perhaps it is no surprise he missed multiple training sessions and we lagged behind schedule. 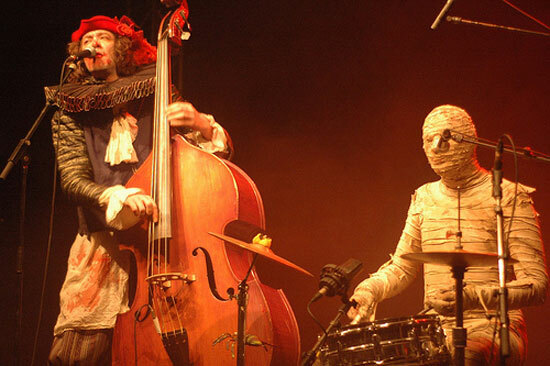 Then, an astonishing twist of celebrity: Dom’s act, “Cap’tain Carnasse et sa Momie” was invited to perform on French national television. A huge and deserved moment in his career! But, merde, the filming was the same weekend as the Défi Monte Cristo and 6 million telespectators trumped a long swim. Which is when this man stepped into the breach. Attentive readers of this space, and those who finished Time Was Soft There / Books, Baguettes & Bedbugs, will recognize Adrian Hornsby. He and I have collaborated on a number of projects with Kilometer Zero and it is safe to say our work has been all the more magnificent thanks to the gently humming competitive current that runs between us. Even better, having just finished an exhausting three-year project on China – the behemoth The Chinese Dream: A Society Under Construction – Adrian was eager for a more sporting endeavour. He signed up for the Défi, began training in London pools in April, and flew down to Marseille in mid-June to get a taste for swimming among waves, currents, jellyfish, and other such hazards. It was clear that Adrian had been diligent in his training. 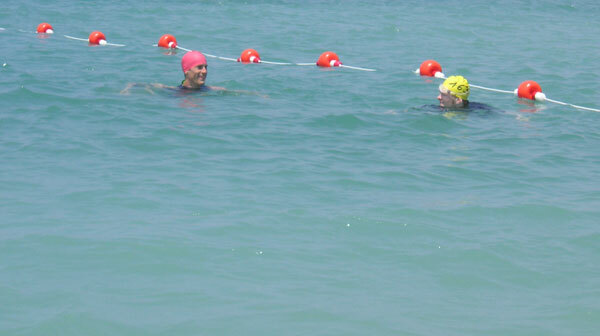 On our second swim together, we did a 4.8 kilometers at a decent pace and he finished without any difficulty. 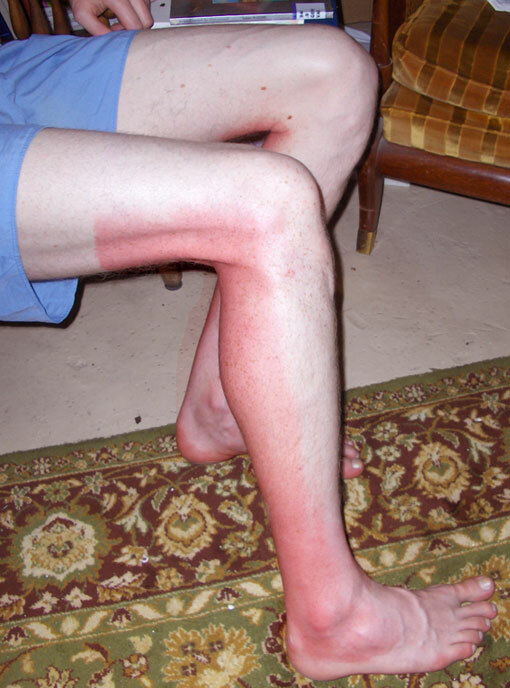 One small problem though: Adrian, accustomed to the bleary skies of London, forgot to put sunscreen on the back of his calves. His legs swelled until the skin was taut and his toes were bloated little cocktail wieners. We had to take a few days off, but confidence abounded. The evening before the event we ate a high-octane meal of ginger tofu, quinoa, and broccoli. More remarkably, we refrained from wine, beer and pastis. Could there be greater proof of our devotion? More amazingly, the next morning Quinn’s ploy worked and when Adrian and I arrived on the official competitors’ boat, he was there sitting on the island rocks. Adrian, clever lad, told event organizers he’d lost his official swim cap, so they gave him a second that he discreetly passed to Quinn. The team was ready. But first, I had to insist on one thing: screw the team. I was aiming to break my record, which meant I wasn’t waiting for anybody. Adrian, kind soul that he is, said he would stay close to Quinn for safety reasons. The conditions were rough with significant waves and a stiff counter current. I pushed hard though, and in the last kilometer I passed at least a dozen other swimmers. A dizzy fantasy began to play out in my head: maybe there was a most-improved swimmer prize. Maybe I would win it! By the end, I was in so much pain my goggles filled with tears. When I hit land, my legs were weak and I had to be helped from the water. All that was to be done was to wait for the official times. And wait for Adrian and Quinn of course. I figured they’d be at least 15 minutes back, so it didn’t surprise me that I’d already towelled off and eaten some cake before they arrived. What did surprise me, however, was the lackadaisical pace at which they approached the finish line. “Finish hard,” I shouted at Adrian. He scowled a fierce scowl. What was going on? A complete travesty, that’s what. With the current becoming dangerous, the Défi organizers sent a boat to collect the straggling swimmers and there were few swimmers straggling farther behind than Adrian and Quinn. With no training, Quinn zigged, Quinn zagged, Quinn dallied among the waves, leaving an increasingly frustrated Adrian treading water while waiting for him. 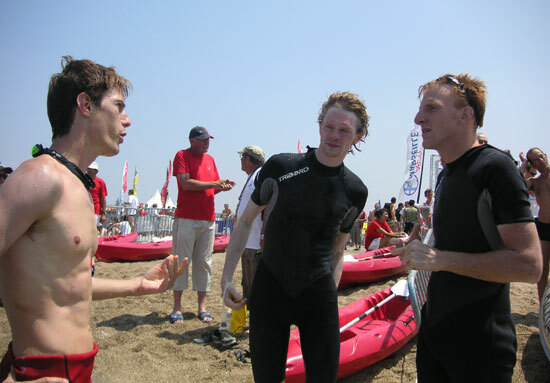 When the boat came to pick the duo up, Quinn was elated, having had a great experience and swum almost four kilometers. Adrian, meanwhile, was appalled that his marathon swim had been cut short with neither the thrill of completing the course nor the groggy delight of having pushed himself to exhaustion. Insult to injury, the boat dropped the stragglers at the mouth of the quay entering the finish zone so they could swim the last 100 metres toshore. This act of charity appalled Adrian (though delighted Quinn), which explained the reluctant finish. This photograph pretty much sums up the situation immediately after the swim: Quinn, revelling in the glorious moment and spritzing Champagne (okay, cremante de bourgogne) freely; Adrian, his quest undone, staring bitterly into the ground; and me, certain to have improved my standing, twisting open another bottle of Champagne (okay, cremante) in eager anticipation of the results. As for the guy in the background with his leg in the air, he’s just happy to be there. You know what a popping Champagne (cremante) bottle sounds a lot like? The air gushing out of a balloon, the desolate sound of deflation. That was me when I saw this result: I’d finished 260th out of 289 swimmers in my category. The real sledgehammer to my joy was my time: 2 hours 13 minutes 44 seconds, 25 minutes slower than in 2007. Yes, the sea was rougher and yes, everyone was a little slower because of it. (The 2007 winner finished in 50 minutes 54 seconds, while the 2008 winner finished in 55 minutes 16 seconds.) But that was no consolation. I’d been aiming for the top 100 and this result could only be seen as a failure. I drank more Champagne (cremante), ate more cake and felt terribly weary. And this is my damning conclusion. The swim was a metaphor for my writing career, perhaps my entire life. 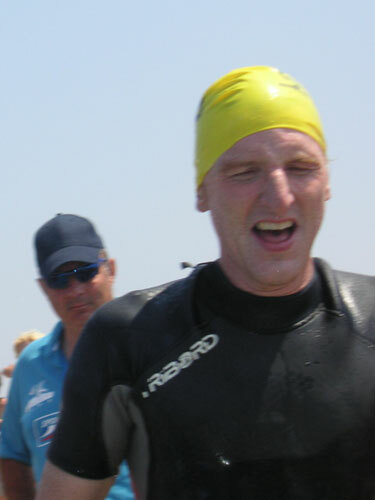 For the 2007 event, I’d been unsure if I could complete the swim; thus, I was inordinately proud just to finish. Similarly, because it is such a daunting task to be published by a major New York house, I was overly content simply to get my first book deal with St. Martin’s. All that is understandable. 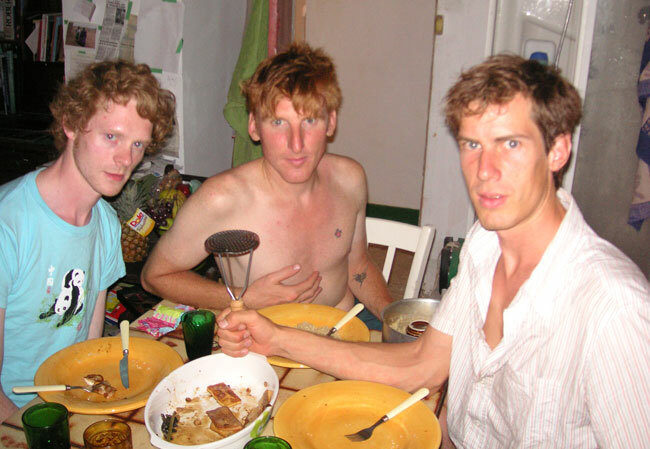 But, this year, for the 2008 Défi Monte Cristo, I knew what to expect. I wasn’t comparing myself to the legions of friends and colleagues who’d expressed an interest in competing but never got up from the bar stool to train or register for the event. I was comparing myself to those committed athletes who actually spent hours every week in the pool. And, judged by this new standard, I failed. And the same can be said with my books. Now, I am no longer an aspiring writer who is happy to get a contract; now, I must look around at my published colleagues – the Susan Orleans, the John Berendts, the Jonathan Mahlers – and gauge my work against theirs. And, again, by this standard, I am failing. Why? Perhaps it is a lack of talent, both swimming and writing. Or perhaps I am a glutton for pleasure. For example, I am the only swimmer in the Défi Monte Cristo who uses the breaststroke; all the other competitors use the more efficient front crawl. Why? Because I like to look at the sky and the sun and the mountains as I swim. By simply sticking my face in the water and switching to the front crawl I could shave 15 minutes off my time. But am I willing to lose the view just to get ahead? So it goes for the writing. I have my garden and my chickens and my travels. I play tennis and meet friends for drinks and go for daily swims at the local beach. I enjoy lounging in bed and reading with my girlfriend. We spent a lot of hours cooking together. Maybe that’s too much pleasure. Maybe I need more pain and more sacrifice to become the writer – and the swimmer – I aspire to be. More hours in the pool head down, more hours at the computer, eyes to the screen. Or maybe I am just too damn hard on myself. Maybe ambition sours the true joys of life. My training for the 2009 Défi Monte Cristo begins with a New Year’s Day swim. We’ll find out if I’ll be doing the front crawl.